You pay for blender bike hire and delivery + collection only (discounted long term rates are available). The bikes take only 2 minutes to set up and we provide full instructions and are on the phone to answer any questions you may have. We provide everything you need to produce great tasting, healthy, ice cold smoothies in seconds! We will deliver in the bike and frozen pure fruit smoothie pouches, juice, cups and straws. 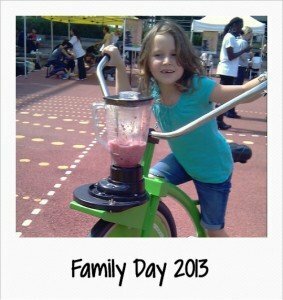 The smoothie bicycle is set up in seconds then you pedal, and it blends - it's as easy as that. Here you receive the bike, all of the smoothie ingredients and a member of the Love Smoothies team on hand to man the bike and encourage your guests or colleagues to have a go. The perfect stand alone solution. Turn our smoothie bike into your own fantastic event arcade machine! We supply the bike(s), sensors, software and laptop to run it from. This easy to use, addictive smoothie game will take your event and your smoothie blending to the next level! We offer bespoke smoothie bike hire packages built to suit your individual requirements and budget. In the above table you can see how we build your event package from 4 elements, below we go into more detail. You can choose any of the items above in any number or combination to suit your event, so if you can't see what you would like for your event please contact us to talk it through, if we can possibly help we will! For a quick quote please fill out our simple online smoothie bike quote form. Or to find out more and speak to us directly please call 0203 375 6208 or email info@lovesmoothiebike.co.uk we'd be delighted to talk through your event and how we might be able to help. Smoothie bike hire and delivery, this is the hire charge for the smoothie bike or bikes and will be calculated depending on the number you need for your event, and also how many days you need them for. We operate a discount system so the more bikes you hire or the longer the period you hire them for, the less you pay per bike per day. We do operate long term hires as well where you can take a bike or bikes for a number of weeks or even months, contact us directly for a quote. We usually charge a delivery and collection cost on all of our bookings to get the equipment to you and back. Unless you prefer to collect and drop them back to us in London. Our ‘Love Smoothies’ made easy ingredients are served in premium foodservice sites across the UK and are the perfect way to produce delicious pure fruit smoothies on our bikes. You control how many smoothies you want to have available at your event and also what size. This gives you real control over your budget. Please note outside of London we also use other suppliers of high quality frozen fruit. Which Smoothie Bike Package is right for my event? Manning the smoothie bikes yourselves is a great way to keep your event within budget and our bikes are extremely simple to operate and come with full instructions and a video tutorial you can watch now. So if cost is an issue we recommend taking that option. However if you don’t have the manpower to spare then we can provide enthusiastic smoothie bike instructors across the UK who will set it all up and engage and encourage your guests to participate and manage every aspect of the smoothie bike activity. Why Choose Love Smoothie Bike? 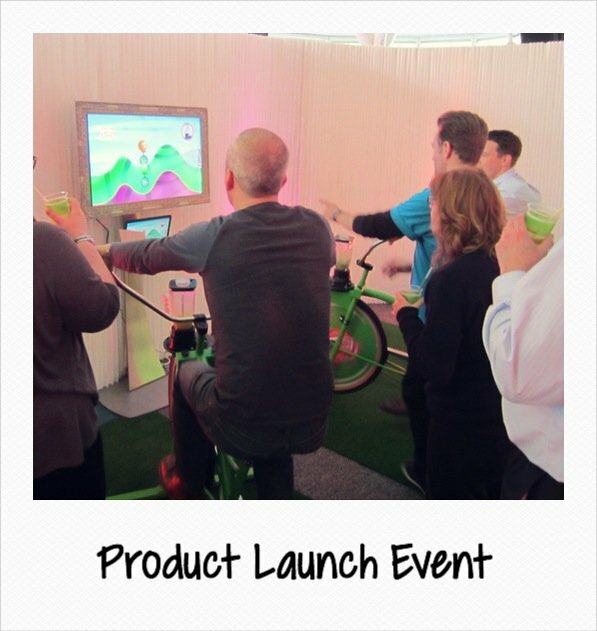 Finally we have the most exciting element, our new interactive development Smoothie Bike Arcade. We provide and license our unique software and laptops to your event so your guests can compete against each other and the rest of the UK as they battle to gain the highest score and blend the perfect smoothie. Available for 1 or 2 bike packages. With 2 bikes at your event guests can compete head to head on the same screen. We can add Smoothie Bike Arcade Game to any smoothie bike package for a small fee, just simply let us know at the time of booking. We currently provide everything except a big screen which you or your venue can provide or you can play directly from our laptop screen. If at any point you would prefer to speak to somebody in our team directly about your particular event then please don’t hesitate to give us a call on 0203 375 6208. If your event is unusual in terms of delivery access or timings or anything else it may be useful to talk it through with us. If you would just like a quick quote to get started then please visit our smoothie bike quote page.